Summer is coming, even if it’s difficult to believe that April Showers (or Snow) bring May Flowers. Here’s a preview of two health tech events to put on your calendar later on this year in mid and late summer. The King’s Fund Digital Health and Care Congress 10-11 July, at their location in London. Content and case studies include creating the right culture for large-scale digital change, using digital technology to improve quality of care, prevention and changing behaviors, population health informatics, tools for self-management, and much more. Speakers include Matthew Swindell of NHS England and the Rt. Hon. Paul Burstow of the TSA. Information and registration are now available here. (Updated this week!) Follow The King’s Fund on Twitter here: #KFdigital18. TTA is a media partner of the Digital Health Congress. Parks Associates’ 2018 Connected Health Summit: Engaging Consumers will be held 28-30 August at the Manchester Grand Hyatt in San Diego, California. This year will analyze the role of innovative connected health solutions in driving changes in consumer behaviors as well as how healthcare systems, insurers, and hospital networks interact with consumers. Updated: Confirmed keynotes are Deborah DiSanzo, General Manager, IBM Watson Health and–just added–Christopher Weber, General Manager of Uber Health [see this Editor’s thoughts on Uber from last month]. Speaker submissions are open until 1 June–more information is here. Early registration is now open. TTA is a media partner of the Connected Health Summit. 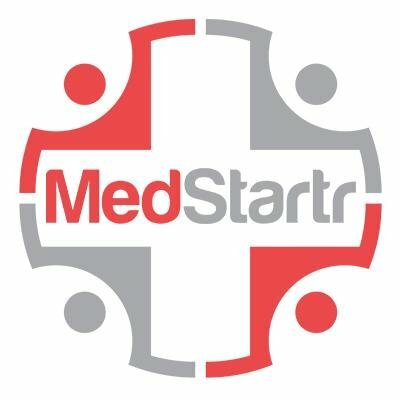 Events: MEDICA App Competition 15 November (DE)–not too late to enter! MEDICA 2017 (13-16 Nov) will be hosting the sixth annual MEDICA App Competition on the stage of the Connected Healthcare Forum. This is featured as the “the world’s largest live competition for the best App-based Medical Mobile Solution for use in the daily routine of a patient, a doctor or in the hospital.” 15 contestants will pitch on stage for three minutes each with an additional two minutes for the jury to submit questions. First place solution will be awarded €2,000, second €1,000 and third €500, along with the winner going to SXSW and the top three receiving Startupbootcamp (SBC) Digital Health awards. Featured on the jury are Ashish Atreja from Mount Sinai in NYC and Ralf-Gordon Jahns of research2guidance. Application submissions are being accepted through 30 September with notification early in October–scroll down the page for the link. A reminder than in a few short weeks the annual International Technology Enabled Care Conference will take place at the International Convention Centre in Birmingham, hosting UK organizations across health, housing, home care, social care, industry and more. The event will focus on TEC with the theme ‘Connected Care, Connected Homes and Connected Communities’, and feature a packed programme with, as they put it, “challenging debates, thought-provoking presentations, interactive workshops and brand new interactive zones to inspire, inform and drive forward sector collaboration.” The draft programme is here. Find out more at the conference’s home page and register at the full website here. There are also a few exhibition booth stands and sponsorships left, looking at the interactive floor map, so your company may want to check here as well. [grow_thumb image=”http://telecareaware.com/wp-content/uploads/2013/02/gimlet-eye.jpg” thumb_width=”150″ /]The Gimlet Eye returns to once again cast a baleful gaze on All Those Connected Things, or the Plastic Fantastic Inevitable. Those 6.4 million Wi-Fi-connected tea kettles, smart fridge, remotely adjusted pacemakers (and other medical devices) plus home security two way video systems that accost the dodgy door ringer sound just peachy–but how good is their security? Not very, according to the experts quoted in this ZDNet article. It’s those nasty security flaws in IoT which were patched out 10 years ago on PCs that make them incredibly risky to have, as they can vector all sorts of Bad Things into both personal and enterprise networks. Their prediction is that a Connected Device with a big flaw will become molto popular and provide a Target a Hacker Can’t Refuse within two years. Or that some really clever hacker will write ransomware that will shut down millions of Connected Cars’ CPUs or disable the steering and brakes if 40 bitcoins aren’t placed in a brown paper bag and left on the third stool of the pizzeria at 83rd and Third. [grow_thumb image=”http://telecareaware.com/wp-content/uploads/2016/06/Future-health-index-e1465426741815.jpg” thumb_width=”150″ /]A report published by Philips today claims that 78% of healthcare professionals believe their patients need to take a more active role in managing their health while 20% of UK patients admit to not managing their health, according to a press release. The report suggests that the result of people not paying attention to their health is increased illnesses (or “lifestyle related conditions” as the report calls them) such as heart failure and type 2 diabetes. The report then goes on to suggest that the use of “connected technology” to help manage their health should be made mandatory for some patients. Connected technology is defined as technology that enables sharing of information throughout all parts of the health system (e.g. doctors, nurses, community nurses, patients, hospitals, specialists, insurers and government) that can range from computer software that allows secure communication between doctors and hospitals, to a watch that tracks a person’s heartbeat. However, the connected technology in a case study highlighted in the press release is home based monitoring systems supplied by Philips for a classic UK telehealth trial for COPD, diabetes and heart failure. Daydreaming of a post-holiday warm weather break? The HealthIMPACT events are relatively small conferences that typically cover a lot of connected health ground in a few hours. The fast paced format combines single presenters and panels into primarily 30 minute sessions (some as short as 15 minutes). Presenters are from a mix of backgrounds and come from health systems, HIT, academia and community health. This Editor has attended two events in NYC and has been impressed (and that’s not easy) with the presentations, the breaks, the attendees and the venues. Information and registration. [grow_thumb image=”http://telecareaware.com/wp-content/uploads/2013/02/gimlet-eye.jpg” thumb_width=”150″ /]The Gimlet Eye observes from a houseboat anchored at a remote Pacific island, with coconuts and occasional internet to Editor Donna. A controlled two-year study in a chain of eleven Massachusetts for-profit nursing homes significantly reduced readmissions through the use of telemedicine (remote consults) with patients during off-hours and weekends. Those homes which used the (unidentified) telemedicine provider the most frequently–four–had the greatest reductions in rates of hospitalization: 11.3 percent, versus 9.7 percent for the six facilities which adopted the system first. A control group of five which presumably did not use telemedicine had a reduction of 5.3 percent. Calculating the savings to Medicare, the researchers estimated $150,000 per nursing home per year. With a telemedicine cost of $30,000 per nursing home, the net savings would be roughly $120,000 for each home using the services most frequently. The researchers are David C. Grabowski of Harvard Medical School and A. James O’Malley of The Dartmouth Institute for Health Policy & Clinical Practice at the Geisel School of Medicine. Abstract (full text in Health Affairs paywalled), Medical News Today. Hat tip to Editor Toni Bunting. So 9 out of 10 people haven’t heard of ‘telehealth’…and your point is? Apparently echoing the comments about health technology awareness made in our post last week about O2 (who are, by the way, to be congratulated for their parent company’s announcement today that they are preferred bidders for two of the three smart meter regions), the HSJ has reported the results of a YouGov poll that nine out of ten adults in the UK have never heard of telehealth. Of those over 55, the age above which use of telehealth is more likely, 92% hadn’t heard of it. (Note that the HSJ article is behind a paywall, however via a Google search on “National Telehealth Forum”, the commissioner of the survey, you can currently go past it). 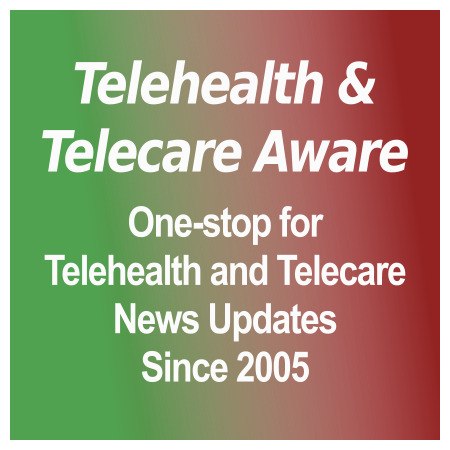 The National Telehealth Forum press release is here. EHI also covers the story, here. [grow_thumb image=”http://telecareaware.com/wp-content/uploads/2013/08/topper-mobilelink1-1140×180.jpg” thumb_width=”175″ /]We had been surprised at how quiet Alere Connect, the former MedApps, has been since its acquisition a year ago. Their latest news is that their newest and quite streamlined gateway hub, Alere MobileLink, has received FDA clearance to add to its recent CE Mark certification, clearing it for introduction in both US and Europe later this year. The US announcement also indicates that it will be packaged with Alere’s INRatio 2 PT/INR Monitor as part of home patient monitoring of anticoagulant medications programs through Alere Home Monitoring. This Editor notes that anticoagulant monitoring is ‘high-value’ and for remote monitoring, fairly different. Like the earlier MedApps HealthPal, it is also ‘vendor neutral’ compatible with multiple telehealth devices for glucose meters, weight scales, blood pressure monitors and pulse oximeters. Much of the emphasis of the new Alere Connect is how it integrates tightly with Alere’s programs and Connected Health informatics, care management and accountable care solutions, which is confirmed by CEO Kent Dicks’ quote included in the release: “The Alere Connected Health platform has the ability to connect flexibly with devices and systems regardless of their manufacturer and origin. The platform captures and analyzes data with robust analytics, and then backs it up with comprehensive health management services.” No information on rollout in UK or Europe. Release. For long-time followers of MedApps, their HealthPal wireless hub is still being supported by Alere but will not at this point be integrated with INR monitoring. Also pending FDA clearance is a home health information tablet, Alere HomeLink.